How do events change characters in the story, or the story itself? Use this worksheet to review the concept of cause and effect. Use this resource to review important vocabulary terms in the genre of nonfiction. 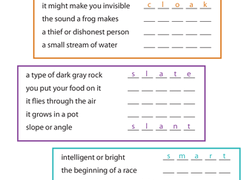 Get some synonym practise with this handy worksheet that asks kids to choose the synonym for each word in bold. Understanding prefixes is a crucial part of building vocabulary and learning the meaning of unfamiliar words. Use this resource to study the prefix mis-. Help your students to analyze their vocabulary words and relate them to synonyms and antonyms with this handy visual resource. 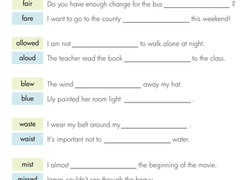 This worksheet serves as a great graphic organizer for all content areas. 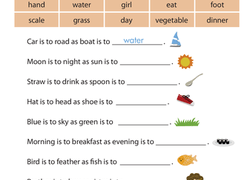 This exercise will give your students practise identifying synonyms and using them in context.